Walt Disney World For The Holidays 2018 - New Things You're Going To Love! 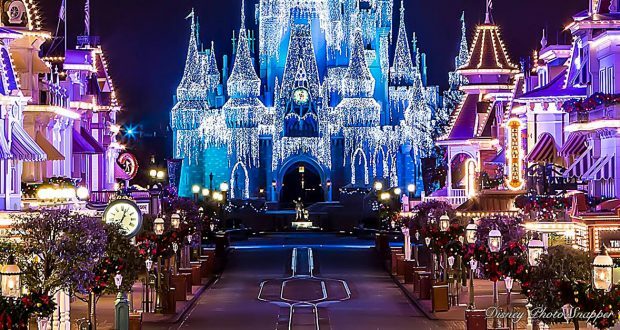 Walt Disney World For The Holidays 2018 – New Things You’re Going To Love! It’s always “the most wonderful time of the year” at Walt Disney World Resort, but there’s something about the Holidays that just can’t be beaten. Perhaps it’s the dazzling décor or the merry music, or maybe it’s that both the attractions and characters are given merry makeovers. As 2018 prepares to roll into 2019, the resort promises “a whole new world” of enchanting entertainment. Naturally, this will include winter wonderlands, Christmas-themed characters, festive food and merry merchandise. Here are seven things you’re going to love! The event will include snow, shows, décor and more. The likes of Echo Lake will undergo festive transformations, while Jingle Bell, Jingle BAM! will showcase fireworks, music and laser projections. Flurry – sorry, hurry – plan your visit now! By the end of this year, Toy Story Land will be six months old, and Christmas 2018 will be its first one. So, to no surprise, Holiday Cheer at Toy Story Land will unleash a flurry of festivities at the home of your favorite “child’s play-things”. In other words, prepare to “reach for the snow-filled sky”! Details are slim at present, but this celebration will form part of Flurry of Fun at Disney’s Hollywood Studios. However, you can expect new tunes on Alien Swirling Saucers and decorations all around. In fact, if you haven’t noticed, the large Rex on Slinky Dog Dash already appears to be holding fairy lights in preparation! Toy Story Land isn’t the only 2018 addition that’s preparing to celebrate its first Christmas. Inspired by heart-warming Disney-Pixar movie UP!, UP! A Great Bird Adventure isn’t going anywhere, and even at Christmas you can still experience the world’s most exotic birds. This time, though, you can also expect some festive cheer as the show will tell the story of Diwali – India’s holiday festival of lights – from November 8 until January 1 2019. In the meantime, let the “UP-lifting” show keep you going for the next few months. If you can’t wait, just count balloons! The world of shopping at Walt Disney World Resort is, naturally, an ever-changing one. After all, new attractions, experiences, movies, characters and celebrations are almost a daily occurrence, so appropriately-themed merchandise comes as no surprise. Christmas is no exception, either. 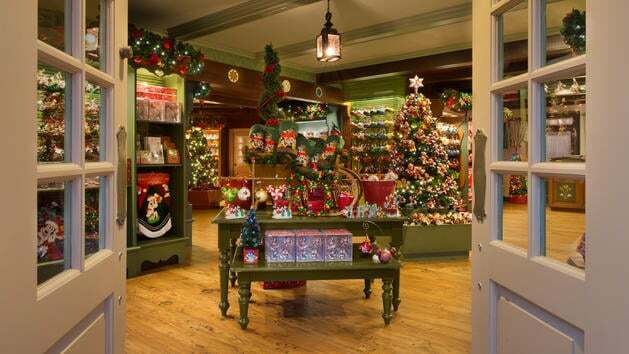 So whether it’s Disney Springs or any of the Disney Parks, you can expect some truly charming and wonderful merry merchandise this year. Make sure you invest in a MagicBand (free for Disney Resort Hotel guests) and make some magical purchases. While the Candlelight Processional is an annual event, it still offers something new on every return, as its Christmas story is narrated by new celebrities each year! 2018 will include Whoopi Goldberg (who voiced Shenzi in The Lion King) and Edward James Olmos of Battlestar Galactica fame! You can catch the huge orchestra and choir in all its festive glory from November 22 through December 30. For more details on dates and other celebrity narrators, visit the official Walt Disney World Resort website. 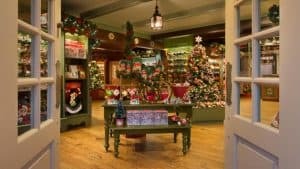 Yet another new addition to Walt Disney World Resort will be celebrating its first Christmas at the end of 2018. Whether or not it will be as themed as everything else in the real world, though, is yet to be seen – but knowing Disney, it’s highly likely. 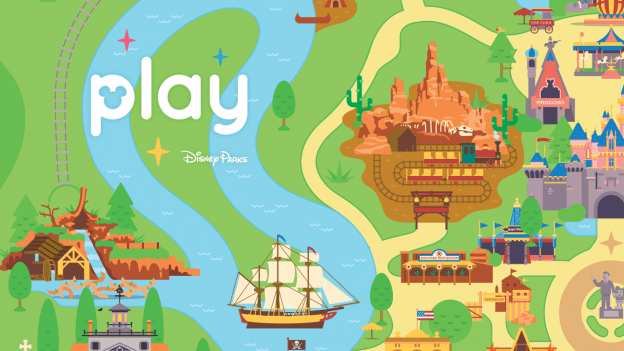 Either way, if you’re yet to experience the Play Disney Parks mobile app for iOS and Android phones, be sure to download it now. Remember – you’ll spend a lot of time waiting in line during the Holidays (FastPass+ or not), so turn wait time into play time with Disney trivia, in-queue games and more! It would be a lie to say that indulgence doesn’t form a big part of the Holidays. And it would be just as big a lie to say that it’s not a huge part of the reason why the idea alone of visiting Walt Disney World Resort – no matter the time of year – is enough to send your taste buds into overdrive. From life-sized gingerbread houses to festively-themed treats (do check out Main Street Bakery!) and Dining Packages to Dessert Parties, there will be plenty of delicious delights at Walt Disney World Resort for the Holidays. And that doesn’t even cover all the restaurants at the theme parks, Disney Springs and even the Disney Resort Hotels! The Holidays aren’t just one of “the most wonderful times of the year” – they’re also among the busiest times of the year. 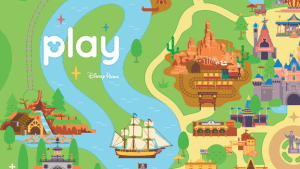 Just “be prepared” with all the magic that’s available, from a good old fashioned paper map to the My Disney Experience mobile app!